Aéropostale is known by many as a staple of adolescent wardrobes and shopping-mall standard. But as a patsy for kickback schemes? In United States v. Finazzo, 14-3213-cr, 14-3330-cr (Droney, J., joined by Judges Sack and Chin), issued March 7, 2017, the Circuit affirmed the mail and wire fraud convictions of an Aéropostale executive who, over the course of a decade, steered hundreds of millions of dollars in business to a vendor that cut him in on the profits. In affirming his convictions, the Court held that the defendant’s deprivation of Aéropostale’s right to control its assets was injury sufficient under the mail and wire fraud statutes, and that the district court had adequately instructed the jury that such deprivation must be able to cause tangible economic harm. However, the panel vacated and remanded the district court’s restitution order on the grounds that the calculations presumed that any financial gain to defendant through the scheme was a loss to Aéropostale. With little more direction than to “try again,” the court instructed the district court to develop a new methodology for computing a restitutionary award that subtracts any legitimate value that Aéropostale derived through its dealing with the vendor. The Circuit has long stressed the need for precision in restitution calculations, and it can be difficult to make such calculations in a kickback case prosecuted under a theory based on the deprivation of the right to control assets. Defendant Christopher Finazzo had been a merchandising executive for the Aéropostale clothing company. In this capacity, he had what witnesses described as “complete control” over Aéropostale’s vendor selection and pricing. Co-Defendant Douglas Day owned a clothing vendor called South Bay. In 1996, Finazzo and Day worked out a clandestine deal in which Finazzo agreed to cause Aéropostale to purchase merchandise from South Bay at above-market rates, and in return, Dey agreed to pay approximately half of South Bay’s profits to Finazzo through C&D Retail Consultants, a company controlled by Finazzo, and several joint ventures controlled by Finazzo and Day. The arrangement continued through 2006; over that period, Finazzo caused Aéropostale to pay South Bay more than $350 million for merchandise. During that time period, Finazzo repeatedly rejected proposals made by other Aéropostale employees to save Aéropostale money and improve product quality and delivery times by diverting business from South Bay to other vendors. In addition, in response to regular Aéropostale questionnaires, Finazzo consistently stated that he was not a director or officer in any other company, that he had not received any bribes or kickbacks from any third-party vendor, and that he had not engaged in any related-party transactions. Aéropostale stumbled over Finazzo’s scheme in November 2006 when it discovered that Finazzo had used Aéropostale ’s email system to email his estate planner about his ownership interests in South Bay and the joint ventures; Aéropostale terminated Finazzo immediately. Following several years of FBI investigation, Finazzo and Day were indicted in June 2010. The charges against Finazzo and Dey included one count of conspiracy to commit mail and wire fraud and to violate the Travel Act, 18 U.S.C. §371, and fifteen counts of mail or wire fraud. In September 2012, Day pleaded guilty to conspiracy to violate the Travel Act and agreed to a $7.5 million restitution order, but reserved the right to appeal that order. Following a three-week trial in the Eastern District of New York (Mauskopf, J. ), on April 25, 2013, a jury returned a verdict finding Finazzo guilty of all counts. On the mail and wire fraud counts, the jury found Finazzo guilty based on his deprivation of Aéropostale’s “right to control use of its assets,” but not based on an intent to deprive Aéropostale of money. Finazzo was sentenced to eight years’ imprisonment followed by three years’ supervised release, and he was ordered to pay nearly $13.7 million in restitution. On appeal, Finazzo did not contest his conspiracy conviction, but challenged his substantive mail and wire fraud convictions under the “right to control” theory. The panel was unmoved. It explained that it had rejected an identical, post-Scheidler attempt to equate Hobbes Act property and property under the mail and wire fraud statutes in a Porcelli v. United States, 404 F.3d157 (2d Cir. 2005). In Porcelli, the Court held that a “defendant does not need to literally ‘obtain’ money or property to violate the [wire and mail fraud] statutes,” and “[t]he fact that the Hobbes Act and the mail and wire fraud statutes contain the word ‘obtain’ does not necessitate imposing Scheidler’s construction of a wholly separate statute onto this Court’s pre-existing construction of the mail fraud statute.” Id. at 162. The panel also noted that the Third, Ninth, and Tenth Circuits had reached the same conclusion in their own post-Scheidler decisions. That the Supreme Court later reaffirmed in Sekhar that a Hobbes Act conviction requires “‘the acquisition of property’” did not dilute viability of the Porcelli rule, given that Porcelli had already distinguished the Hobbes Act requirements from the mail and wire fraud statute requirements. Perhaps burying the lede, the panel pointed out in a footnote following its lengthy discussion on this issue that it had “already rejected Sekhar’s application to the mail and wire fraud statutes in a summary order” in United States v. Clark, 593 F. App’x 53 (2d Cir. 2014). Had this summary order been published as a precedential decision, this aspect of the Court’s ruling could have been turned aside without discussion. 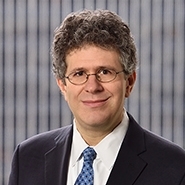 Finazzo also urged the panel to find error in the jury instructions that the “money or property” element of the mail and wire fraud counts could be satisfied through proof that Aéropostale was deprived of “intangible interests such as the right to control the use of one’s assets,” which are “injured when a victim is deprived of potentially valuable economic information it would consider valuable in deciding how to use its assets.” This instruction, Finazzo argued, improperly implied that Finazzo could be convicted under the right to control theory without the jury finding that Finazzo caused or intended to cause tangible harm. Turning to, and thoroughly disposing of, Finazzo’s challenge to the sufficiency of the evidence supporting his mail and wire fraud convictions, the panel found “ample evidence” of Finazzo’s intent to cause tangible economic harm to Aéropostale by steering business towards South Bay in lieu of better bargains with other vendors. Moreover, even beyond directly depriving Aéropostale of money, Finazzo had caused Aéropostale to purchase merchandise of lesser quality and to be subjected to South Bay’s delivery delays. In a summary order, the Court rejected several other arguments presented by the defense. In one sense, the difficulty in determining restitution arises out of the theory on which the government won the Finazzo’s conviction for the substantive offense: that Finazzo denied Aéropostale the right to control its assets. Indeed, the jury’s conclusion that Finazzo did not commit substantive mail fraud based on the intent to deprive Aéropostale of its money suggests that perhaps the jury was uncertain about whether Finazzo actually caused Aéropostale to lose money. This seems unlikely based on the scale and duration of the scheme, and based on Finazzo’s refusal to consider other, seemingly better, business partners. But it is at least theoretically possible that while Finazzo improperly directed business to South Bay, this was a good business decision on the merits and that Aéropostale did not lose money as a result of this corrupt arrangement. However, the upshot of this remand is to further prolong the proceedings in a case that was argued to the Circuit in 2015 and in which trial was completed in 2013, based on an initial 2010 indictment, for acts that may have caused Aéropostale to lose many millions of dollars from 1996 to 2006. The panel’s recognition that developing a more nuanced restitution calculation may entail additional fact and/or expert discovery does not bode well for speedy disposition. Moreover, the framework adumbrated to the district court for revising the restitutionary award is light on detail, which invites the possibility that the Court could vacate and remand the next restitution order if the district court cannot properly intuit a methodology that addresses the concerns raised by the panel. Given that Aéropostale filed for bankruptcy in May 2016, the questions as to how to calculate an appropriate restitutionary award to Aéropostale may well outlive Aéropostale itself.